"A silence fell—you could have heard a pin drop. We were now aware that we were headed for Goli Otok—a lawless island about which not much was known; only that it was hell in the Adriatic." - C. Michael McAdams University of San Francisco, retired Author of "Croatia: Myth & Reality"
This book is a must for the reader who is interested in post-war Yugoslavia. It relates the experiences of prisoners who were punished and tortured, sometimes to death, on what is know as the "Naked Island." The book spans a seven-year period, starting in 1962, when the author was arrested for political reasons and sentenced to a term for crimes he did not commit. He is beaten and tortured numerous times in an effort to extract a fabricated confession and is finally tried and convicted. From inside the prison, he witnesses the atrocities that the Communist regime inflicted on anyone who did not abide by their ideology. The accounts are straighforward and written in a simple manner. The author does not espouse his own political theories and refrains from relating the grisliest details. It is a book of events that enables the reader to make up his own mind about the ethics of the Communist era and those they enpowered. 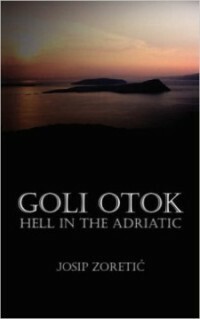 Although Goli Otok is a memoir, it is written so vividly, with a lot of dialogue, that it reads like a novel, a grim political satire with humor, wit, and insightful historical asides. I enjoyed reading it more than I expected I would. I strongly recommend the book to wide audiences, historians, travelers. . . everybody.